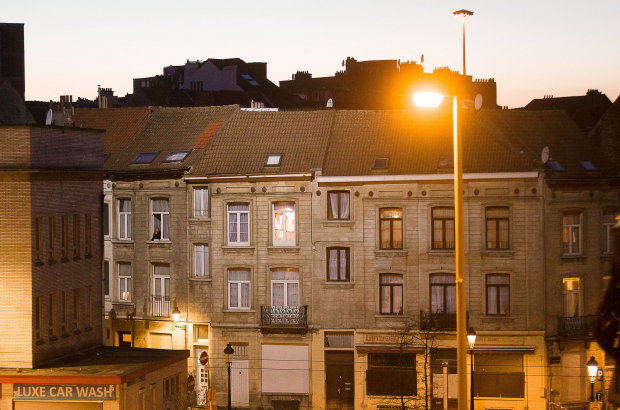 According to technology federation Agoria, the Brussels region is wasting €5 million a year on old-fashioned street lighting. An upgrade to LED lighting, said a spokesperson, would not only save money, it would come with other technical benefits. The region is responsible for some lighting, while each municipality is responsible for most of the lighting located in its borders. Some 15% the region-controlled lighting has been switched to LED, but less than 2% of the municipalities’ lighting has been switched. In response to an inquiry from Agoria, the Brussels region said that its energy bill has been cut in half by replacing only 15% of its lighting with LED lamps. That means, the federation said, that each lamp is capable of reducing energy costs by up to 80%. “What are they waiting for?” said René Konings of Agoria to Bruzz. Aside from savings, “it’s also a question of the environment because those old bulbs are responsible for the equivalent of 15,000 tons of CO2 a year”. The new LED lamps not only save energy while burning, they are equipped with sensors that see them turn off and on automatically in response to how much light there is. “So they don’t burn when they don’t need to, which is not the case now,” said Konings. Finally, said Konings, LED lamps are safer because the light is a brighter white, in contrast to the orange-y glow of older streetlights. LED lamps are currently installed on Boulevard Auguste Reyers between Meiser and Diamant. All renovated tunnels in Brussels are also being fitted with the newer lamps.